So friends agar aap koy bhi important photo galti se delete kar diye hai, toh ab ghabrane ki koy baat nhi hai. Yedi 1 saal pehle ki format mobile se purani photo kaise recover kare toh bhi aap kar sakte hai, Sath me video recover bhi kar sakte hai without root android mobile se. So friends aaj me apko 2 ayse method (tarike) bataunga jisse aap badi hi asani se koy bhi deleted photo ko wapas pa sakte hai without PC (Computer) ke. Ab agar ap soch rahe hai without root ye possible nhi hai. Toh me apko bata du aap wrong hai, abhi technology ke jamane me android mobile se ham bhut kuch kar sakte hai. Previous Article Me Bataya Thaa – Memory Card Se Deleted Data Videos Photos Recover Kaise Kare. Actually ye PC Method Hai. Agar Apke Pass Computer/Laptop Hai Toh Aap Isse Kar Sakte Hai. 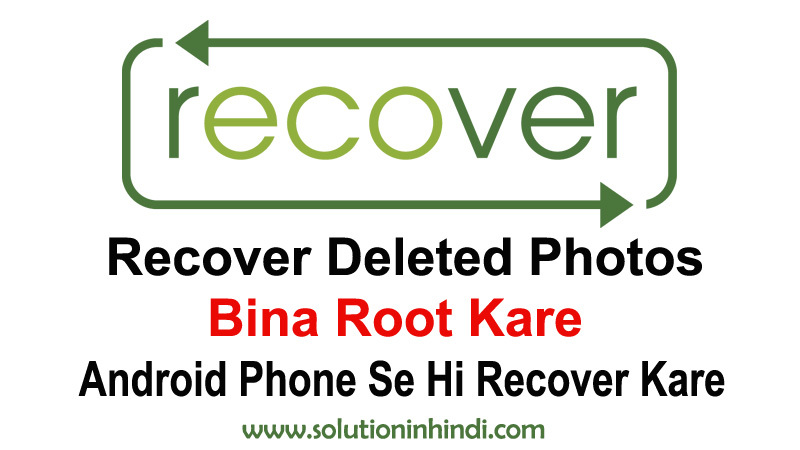 Toh Chale Jante Hai – How To Recover Deleted Photos From Android Phone Without Root In Hindi. 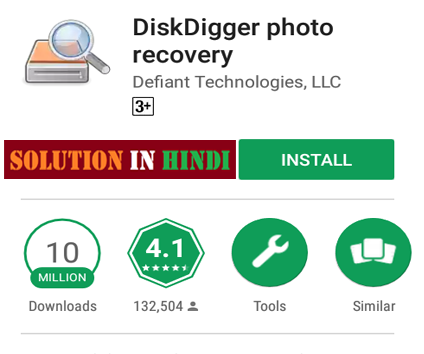 Step-1 Sabse Pehle Mobile Me DiskDigger Photo Recovery App Install Kare. 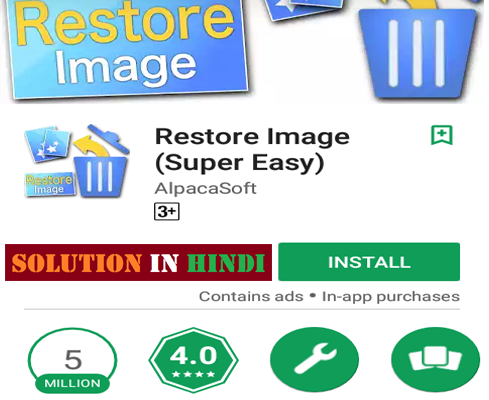 Step-2 Install Ho Gaye Hai Toh App Ko Open Kare. 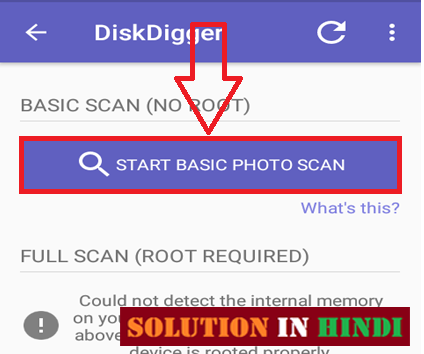 Step-3 Ab Apke Samne Start Basic Photo Scan Ka Option Hai Uspar Click Kare. Step-4 Scan Par Click Karte Hi Scanning Ho Na Start Ho Jayegi. Agar Apko Old Deleted Photos Recover Karni Hai, Toh Kuch Der Wait Kare Ya Phir Cancel Karna Chahte Hai to Kar Sakte Hai. 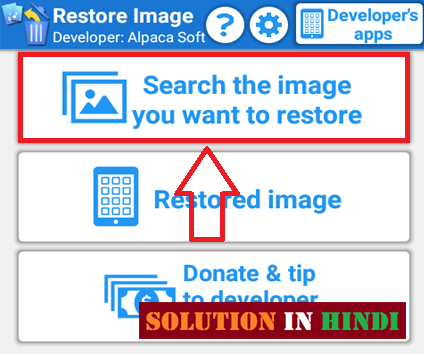 Step-5 Ab Apke Samne Apse Delete Hue Sare Photos Aa Chuki Hai, Toh Jis Jis Image Ko Recover Karna Chahte Hai Usko Select Karke Recover Par Click Kare. 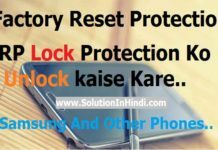 Step-6 Recover Par Click Karte Hi Ab Apko Save Karne Ka Option Dega, So Agar Apko Device (Mobile) Me Save Karni Hai, Toh 2nd Wala Option Me Click Kare. Aur Agar Online Me Save Karna Hai, Toh Pehle Wala Option Me Click Kare. Done! Ayse Karke Apko Delete Photo Ko Wapas Lana Hai. So Friends memory card se delete photo kaise nikale Hai Na Bhut Simple, Toh Chale 2nd Method Bhi Dekhte Hai Ye Bhi Same Hai. Step-2 Install Complete Ho Gaye Hai Toh Ab App Open Kare. 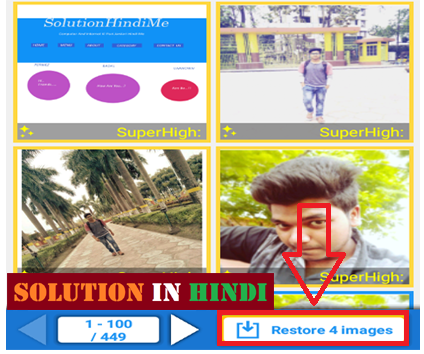 Step-3 Ab “Search The Image You Want To Restore” Ki Option Par Click Kare. Step-4 Few Minutes Wait Kare Apke Mobile Ke Sare Folder Ki Images Searching Hoga, Isme Kuch Minutes Time Lag Sakta Hai, Kitna Time Lagega Woh Apke Photos Ke Hisab Se Hoga. Step-5 Ab Jis Folder Se Photos Delete Hua Hai Us Folder Ko Find Kare. 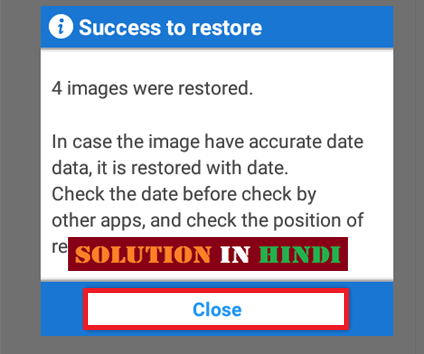 Step-6 Ab Jo Jo Image Apko Recover Karni Hai Us Par Click Karke, Niche Right-Side Restore Images Ka Option Par Click Kar. Step-7 Done Itna Karne Se Apke Deleted Photo Successfully Recover Ho Jayenge. So, delete huye photo wapas kaise laye apko iski jankari details me mil gaye honge. I Hope Ab Delete Photo Recover Karne Ka Tarika Details Se Jangaye Honge, Ummid Hai Apke Liye Ye Post Helpful Raha Hoga, So Friends Agar Apko Ye Accha Laga Hai Toh Apke Friends Ke Sath Facebook And WhatsApp Kar Jarur Share Kare. Taki Aap Hamare Sathe Connected Rah Paye.